The health care team is changing. Have you defined your role? The U.S. health care system is undergoing a dramatic transition as the industry strives to achieve the goals of the Affordable Care Act (ACA or ObamaCare) to improve an inefficient, unsustainable system. Patient care is becoming more integrated and coordinated, focusing on the value and quality of care rather than on volume of services provided. 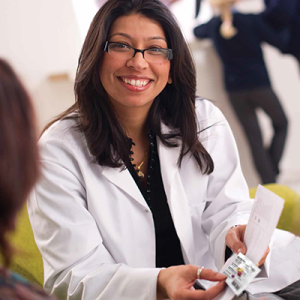 With this change, pharmacists have a key role to play.